These months are that time of the year when Apple Inc. pulls a rabbit out of its hat. However, this time it has pulled out multiple things from its hat. Here we are going to analyze iPad mini 2 to see if it is rabbit or something else. Let’s look into the details specs by specs. Display- The display size of the new iPad mini 2 with Retina screen is identical to the classic iPad mini. However, the 7.9-inch display has a better resolution (2048 x 1536 pixels), a full HD screen and a Retina display to ensure that you can see everything crystal clear. Hence, the pixel density is doubled from the earlier version’s 163ppi to 326ppi. Chipset– The device comes with 64-bit A7 chip, similar to the one on iPhone 5S. Simply put, the processor is four times as fast as its predecessor and has about 8 times better graphics processing capabilities. Colors– The device comes in silver and white, and space grey and black colors. The golden color has been omitted in this generation. Storage- Just like the past generations, the new iPad mini 2 with Retina will come with the 16, 32, and 64GB models. Apart from this, a new 128GB model has also been added to the range. Camera- The device comes with the standard 5 MP rear snapper which comes with the original iPad mini. You will also get a front facing camera for self shots and video chats. Connectivity- iPad mini 2 with Retina facilitates you with LTE connections. Hence, you can enjoy an extended 4G support. You can also connect using Wi-Fi. Apart from all the above said specifications, there are a few things which were expected from the device but haven’t been made available. Touch ID sensor and dedicated keyboard are two such features. As far as price is concerned, it depends upon the variant that you opt for. The India specific pricing isn’t official yet. International prices start at £319 or US$399 for the Wi-Fi only 16GB variant. In case you opt for 4G connectivity, you need to pay an extra £100 or US$130. 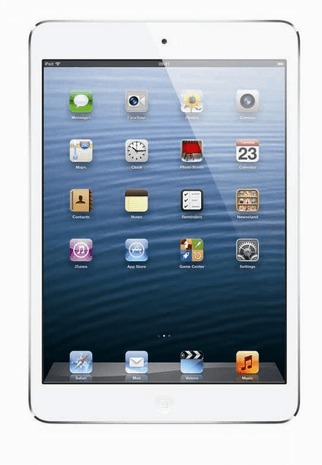 The iPad mini 2 will be is expected to touch down on Indian shores towards the fag end of this year or early next year. The Nexus 7 (2013) is expected to be quite a worth competitor to it and doesn’t cost as much either. Its again iOS vs Android. Which side are you on? The pricing will go beyond 30k in India. Seriously Apple products have good specs and are overpriced. They can slim it down by limiting ads. Google Nexus (2013) is at the moment one of the best tablets and companies should attempt to explore the Indian market before they introduce tablets.